We recently wrote about the many existing venues, activities, and materials designed to encourage public dialogue and informed discussion about animal research. Many individuals, institutions, and organizations contribute to public outreach and education efforts, and also take active roles in dialogue about continuing changes in practice and policy concerning animal welfare and the conduct of animal research. This post is the third in a series (Part 1, Part 2) hosted by Speaking of Research to highlight a wide range of individuals and groups devoted to consideration of animal research. Until I started my summer internship at the Foundation for Biomedical Research in May of 2012, I never knew just how much animal research really does benefit medicine. I knew that important discoveries were made, but I didn’t know how biologically similar animals were to humans. I now know that research with animals is critical to the advancement of medical science. Treatments and cures for the most debilitating diseases are being discovered and tested with animals for the benefit of both animal and humankind, and FBR acts as a liaison between scientists and general public to communicate these important discoveries. Established in 1981, the Foundation for Biomedical Research (FBR) is the oldest organization dedicated to educating the public about the vast benefits of responsible and humane biomedical research with animals. FBR focuses on outreach and education – everything we do is to promote and make the public aware of critical research being done with animals that benefits millions of people world-wide. There are many ways FBR reaches out to the public, from lesson plans to award ceremonies – all for the purpose of highlighting the importance of animals in the field of biomedical research. Every day we send out a newsletter called Total E-Clips to over one hundred and fifty thousand readers around the world, a number that grows every day. The newsletter is a compilation of the most important animal research-related news of the day. Contents include animal research news, animal activism news, political news and anything else of relevance we find that day. 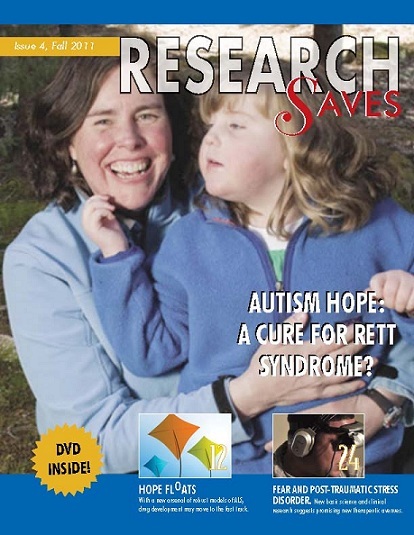 FBR releases a quarterly magazine called ResearchSaves, which is a part of the larger ResearchSaves campaign. The campaign includes a website, TV, radio and print ads, and even the occasional billboard. The magazine is a compilation of stories submitted by non-profits, universities, companies from all over the country. Anyone can subscribe to the magazine and complimentary issues are offered to teachers K-12th grade. FBR provides a lesson plan for middle-school aged children in the subject of animal research. These lesson plans are intended to educate students about the facts and ethical issues surrounding biomedical research and promote healthy, stimulating discussion. They encourage students to discuss their thoughts and questions about animal research. The lessons also inform students about the many benefits that have come from biomedical research with animals and provide them with possible career goals in this field. As part of the educational outreach, FBR also provides a Career Day Kit for teachers to empower students to pursue biomedical research as an interest as well as a potential career. It also counters a different view than what school children are normally told by the animal rights organization: that animal research is cruel and unnecessary. The Career Day Kit was launched in response to the widening distrust of animal research within the general public, and the strengthening reach that animal rights groups have into the K-12 sphere. Over the last year and a half FBR has been producing its new television show, Bench To Bedside. Each episode highlights a person who has gone through the diagnosis and treatment of a debilitating disease or injury. The most recent episode to air was called Liviya’s Story; it is about a six-year-old girl who develops a terrifying disease called aplastic anemia. In the end, she recovers with the help of a drug therapy that had been developed in horses. Along with educating the general public, FBR acts as a liaison between scientists and journalists, encouraging a healthy relationship between the media and the scientific community and promoting balanced and responsible reporting of biomedical research. FBR is considered a definitive resource for both the news media and scientists. For the last 11 years, FBR holds the annual Michael E. DeBakey Journalism Awards, which is considered one of the most prestigious awards in science journalism. Award winners are judged by an independent panel based on relevance, clarity, and technical skills. There are six categories, each one featuring a different medium – print, both small and large press, digital, TV, radio, and magazine. These journalists represent the forefront of outreach that FBR strives for. These journalists are telling stories about the beneficial outcomes of biomedical research with animals. I’ve learned that research with animals is absolutely necessary in the search for treatments and cures, but much of the general public is not convinced. Scientists need help reaching out to the public, and the Foundation for Biomedical Research is here to help in that endeavor. Posted on July 5, 2012 July 5, 2012 by EditorPosted in News, Outreach NewsTagged advocacy, animal research, animal testing, education, foundation for biomedical research, JoAnna Wendel, media, outreach.